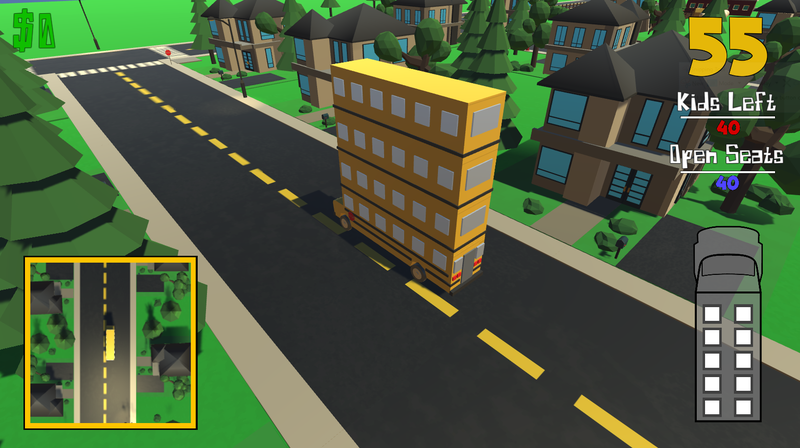 Drive around and pick up kids waiting at their bus stops. Afterwards get them to school before time runs out by ANY MEANS NECESSARY! 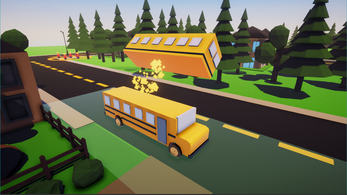 Connection To Theme: The Buses Levels EJECT off after each round resulting in your bus having less space and making you take multiple trips to the school. 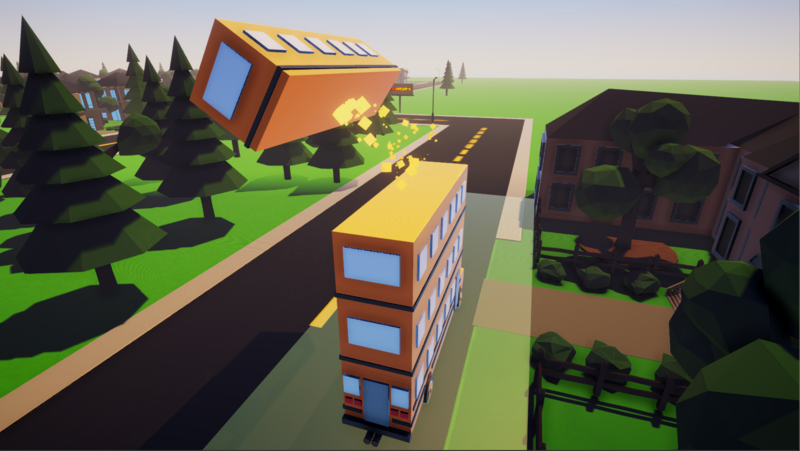 The bus you are driving is a multilevel bus. You can only fit a certain amount of kids on each level. This means you will have to go to the school and drop some off when the bus gets full. 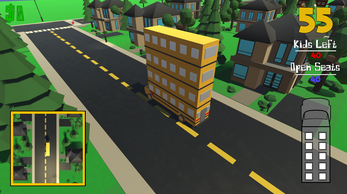 This is indicated in game with a Bus Overlay on the side of the screen. To make it easier, look up in the sky, or on your mini-map for either the yellow X or the giant red exclamation mark. Add Upgrades - this would provide a use for the money. It would be a gas station where you can get the upgrades. This was a lot of fun!! I'm glad I gave it a try! Wow what a story! thanks for the review and playing our game! @social krystal Thanks for downloading and playing! I believe that if you are trying to run the game on windows, sometimes it prompts you with a security window. With which just click more info, then run anyway. If your problem still continues let me know! @social Krystal We did this with Unity very carefully, with extensive amounts of planning, managing, and discussion before the Game Jam, but more during. We had three people on our team, splitting up different components of the work between us. We had one person mainly modeling, however all three of us modeled some things. The other two people of our team worked on programming different mechanics. the game is pretty good. I did experiences a few bugs, but other than that it played great! 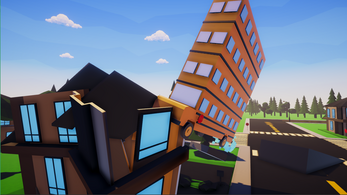 Thanks for the review and playing our game! Thanks so much for playing and making a great video! This game... Just.. This game... Beautiful. Caused some beautiful rage moments, had tones of fun playing it! only found one bug, after the bus reaches is smallest size, and the next full size round starts, i couldn't find any children in the level. Apart from that, great game! I don't know if it is because i'm watching this review really late or somethings wrong but this video had me laughing so hard! Thanks for playing the game and making an awesome video! Was a really fun game. The only down side for me was there was no tire sliding sound or destruction sounds. That would of made it awesome! But it was still a very fun game to play. (Please only click the video if you're interested in watching my play through. Thanks. 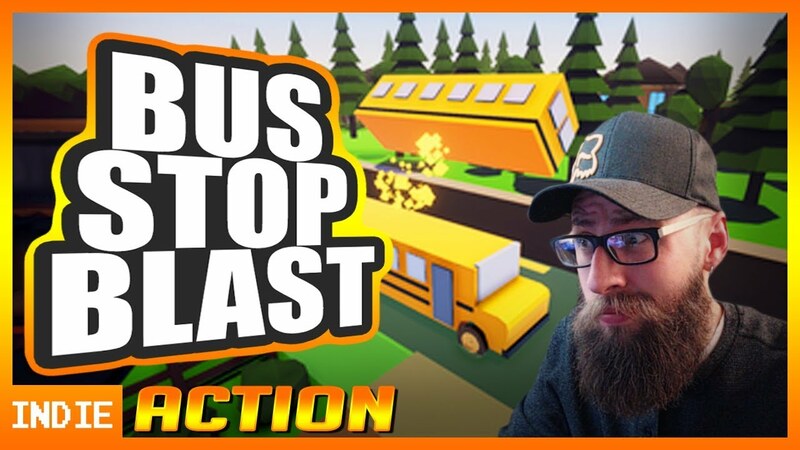 To watch my play through of Bus Stop Blast click the image to be redirected to YouTube. Great video and review! Thanks so much for playing! Thanks for playing and the video! I had such a good time playing this game! 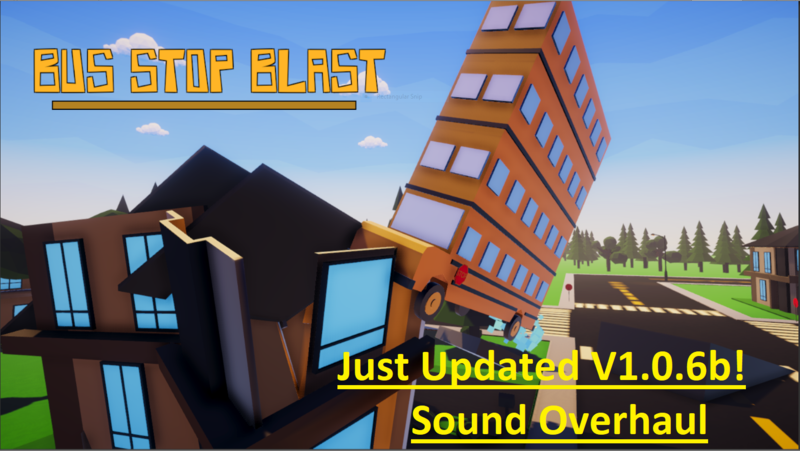 I enjoyed this game, bus stop blast, it is very interesting. I have a question: how have you done the ingame minimap? Is it a top down 2d camera, ortoghraphic one? I liked how you could destroy the houses. And I liked the colourful art. Nice expirience. The in game minimap is a 2d orthographic camera that only renders things with a special minimap tag we created. Thanks for the great review! Gave us all some great laughs. Thanks for playing! Thanks so much for playing our game and your feedback! Long video too! Thanks for playing! Glad you had fun! Thanks so much for playing! We really enjoyed your play through of the game! Thanks for playing! Great commentary and video!